America is a country that is filled with many immigrants. Traveling to a new country takes great courage and is not easy. Compare and contrast immigration today with immigration long ago and explore some of the many reasons people desire to become American citizens in this fascinating digital book. 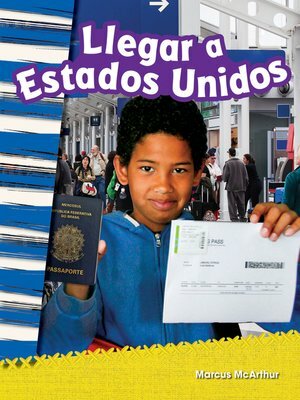 Featuring dynamic primary sources, this high-interest nonfiction ebook translated in Spanish includes colorful images; text features such as a table of contents, glossary, and index; and a "Your Turn" application activity at the end of the ebook. The informational text in this engaging ebook will help second-grade students build literacy skills and social studies content knowledge in history.